Thank you for your interest in the white paper, “Uplift Modeling: Predictive Analytics Can’t Optimize Marketing Decisions Without It,” written by PAW Founder Eric Siegel, Ph.D., and sponsored by Pitney Bowes Business Insight. To drive business decisions for maximal impact, analytical models must predict the marketing influence of each decision on customer buying behavior. Uplift modeling provides the means to do this, improving upon conventional response and churn models that introduce significant risk by optimizing for the wrong thing. This shift is fundamental to empirically driven decision making. This convention-altering white paper reveals the why and how, and delivers case study results that multiply the ROI of predictive analytics by factors up to 11. 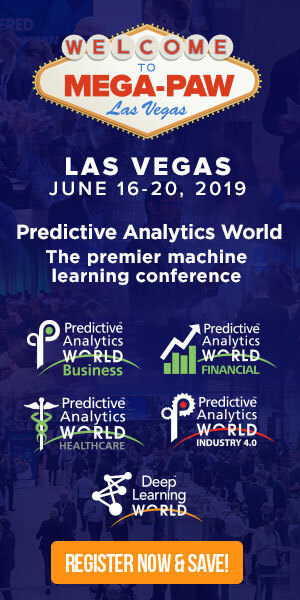 For upcoming presentations on uplift modeling at Predictive Analytics World, and other additional related resources, see this article. For a broader introduction to uplift modeling, see also the final chapter of Eric Siegel’s book, Predictive Analytics.